Mater Dei Catholic from Chula Vista, California is #4 nationally and #2 in California and will face the top-rated team, Norco, this Saturday. A key injury to one of the top players in the nation and the set-up to a No. 1 vs. No. 2 matchup in California are the major developments in this week’s Extra Elite 80 National High School Softball Rankings. First, the injury. That would be the strained muscle on the back right shoulder of pitcher-hitter Lexi Kilfoyl from Academy at the Lakes of Land ‘O Lakes, Fla. 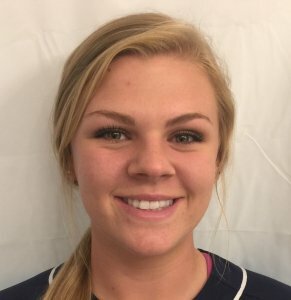 Her father, Homer, told the Tampa Bay Times that there was no structural damage to the shoulder, but that his daughter (signed by Alabama) would be “missing starts” as a pitcher. Academy at the Lakes promptly lost three times at a tournament in high scoring games and had to drop out of this week’s rankings. The Wildcats, who posted a win last season over current No. 2 and unbeaten Lakewood Ranch (Fla.), were No. 10 in the Extra Elite 80 until their losses. The No. 1 vs. No. 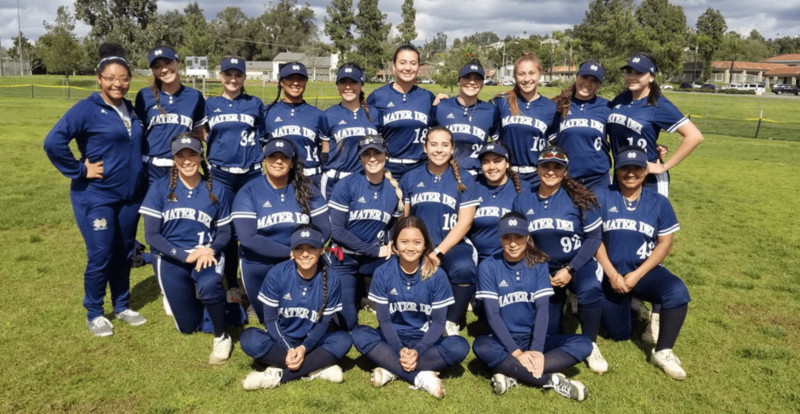 2 contest in California became a possibility when unbeaten Mater Dei Catholic of Chula Vista posted a 13-3 victory over previous national No. 4 Huntington Beach last week. This came after Huntington Beach had won earlier in the week in a meeting of nationally ranked teams vs. Los Alamitos. UCLA-bound Alyssa Garcia of #4 ranked Mater Dei Catholic. 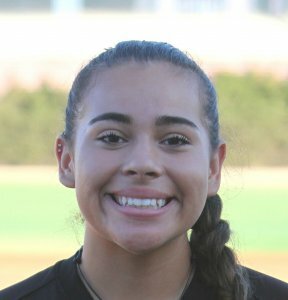 While Huntington Beach didn’t use its top pitcher, Grace Uribe, and also had two players injured in a collision in a loss to Marina (Huntington Beach), the margin of victory for Mater Dei Catholic (which features UCLA-bound Lexi Sosa and UCLA-bound Alyssa Garcia) was enough to jump up the Crusaders to No. 4 in this week’s national rankings. Plus, it was hard not to notice that they will be hosting state and national No. 1 Norco in a non-league matchup on Friday. Many of the top California teams, including Norco and Mater Dei Catholic, will be in the prestigious Michelle Carew Classic next week. Therefore, whichever team wins on Friday between those two, is going to be immediately challenged when the Carew begins just a few days later. Two of this week’s newcomers, No. 37 Bartow (Fla.), and No. 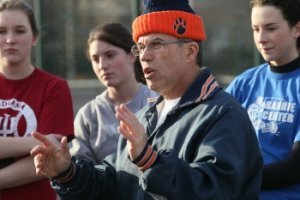 42 Oak Park-River Forest (Ill.), are led by two of the winningest coaches in the nation. Bartow’s Glenn Rutenbar is in his 30th season and is approaching his 800th win. He had stepped down as head coach in 2014 but returned for the 2018 season. Mel Kolbusz of Oakpark. Photo by J. Geil / Oakpark.com. Oak Park-River Forest’s Mel Kolbusz started this season (his 27th at the school) with 740 wins and has a team looking to win its third state title in four years.